NEWS ANALYSIS: They won’t have to face questioning at another Parliamentary hearing next week into alleged bribery at partly owned VimpelCom, but embattled Telenor executives are far from being let off the hook. Now they’re in trouble with both suspicious Norwegian politicians and angry international investigators, while questions and criticism keep flying around CEO Sigve Brekke’s embellished resumé and how Telenor’s board went about hiring him earlier this year, at the expense of several female candidates. Telenor, caught in a major corruption investigation over bribery allegations at its partly owned mobile phone firm VimpelCom, is now fending off problems on several fronts. The company was firmly back in the headlines in Norway on Tuesday for all the wrong reasons. Brekke, who took over as Telenor’s chief executive last summer, is off to a nightmare beginning in his new post, some of it a product of his own making. Telenor’s ongoing troubles command attention in Norway because the Oslo-based international telecoms company is one of the country’s biggest and most globally oriented, with all the risks and challenges that entails. The Norwegian state also still owns a 54 percent stake in what used to be the country’s public telephone utility, so taxpayers have a major stake in Telenor’s fortunes and reputation. Now state officials are scrambling to gain the control they arguably should have wielded as custodians for Telenor’s biggest owner. First came news that a third Parliamentary hearing (into what Telenor executives really knew about VimpelCom’s alleged bribery payments, and whether they had ignored bribery alarms) has been postponed for at least six months. The hearing, to be conducted by the Parliament’s supervisory committee, was scheduled to take place next Wednesday. All committee members except for one (Per Olaf Lundteigen of the Center Party) went along on Monday, however, with an unusual, even shocking, request from Norway’s highest-ranking state prosecutor, Riksadvokaten Tor-Aksel Busch, to delay the hearing. Busch let it be known that not only Norwegian corruption investigators but also international investigators in the US (where Telenor is stocklisted) and the Netherlands (where VimpelCom is headquartered) feared the hearing would harm their own criminal probes. 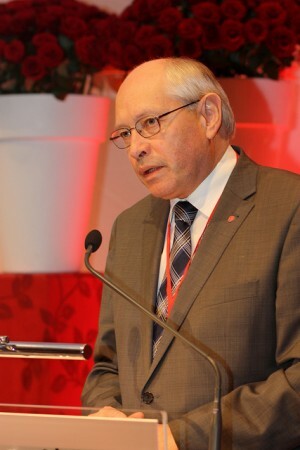 Committee leader and Labour Party veteran Martin Kolberg, who has grilled Telenor executives for allegedly withholding information, admitted he was surprised by the state prosecutor’s request, telling reporters he couldn’t ever remember “such an episode.” It raises serious concerns over how power is distributed among the various branches of government in Norway, and Busch himself told newspaper Aftenposten that he thought long and hard about asking a parliamentary committee to delay a hearing. The investigators, though, raised serious concerns that Kolberg’s committee was in essence carrying out its own “parallel investigation” of Telenor, and that could jeopardize their own work. It’s also been reported that there’s been an internal conflict among committee members themselves over the Telenor hearings, and whether Kolberg was indeed overstepping his bounds. Several of the former and current Telenor executives “invited” to answer questions at next week’s hearing had already expressed doubts about how much they could say without getting in trouble with the investigators themselves. The Telenor bosses were arguably caught in the middle and risked offending either the Members of Parliament or potential prosecutors, or both. Kolberg has staunchly defended the hearing and denies suggestions that the prosecutor’s request amounts to a rebuke of his leadership. The complicated Telenor case took another strange, if not ironic, turn on Tuesday. That’s when newspaper Dagens Næringsliv (DN) reported that the American and Dutch investigators already have accused Telenor of wrongly sharing “sensitive information” with the Norwegian government minister in charge of business and trade, Monica Mæland. Brekke and then-Telenor Chairman Svein Aaser, at a meeting with Mæland in October, reportedly gave her information that top Telenor executives had known more about concerns tied to VimpelCom’s controversial expansion into Uzbekistan and allegedly related bribery payments than the company earlier had told its largest shareholder, the state. Mæland responded by firing Aaser, for allegedly withholding such important information in the case earlier. Mæland claimed she no longer had confidence in Telenor’s chairman. Now the criminal investigators claim Aaser and Brekke revealed too much to Mæland, with DN reporting that Aaser and Brekke cited documents central to the investigation that were not Telenor’s to share. The Americans reportedly are claiming Telenor violated an agreement with the investigators, and that they’re disappointed. Telenor’s official response has been that it does not want to do anything that could jeopardize the investigation. “Investigative authorities have not wanted us to do anything that can damage the investigation,” Severin Roald, communications chief at Telenor, told DN on Tuesday. Asked by DN whether Telenor has now done something that could have damaged the investigation, Severin said he had no comment. It emerged on Friday that Telenor executives, before the hearing was postponed, had asked that it be held behind closed doors because of fears over jeopardizing the investigation. Telenor executives may be forgiven if they feel that at this point, they just can’t win. They’re squeezed between the demands of their unhappy and angry largest shareholder, the state, and the criminal investigators in three countries. If the executives themselves, though, had asked more questions over the years back to 2006, when VimpelCom first expanded into Uzbekistan, the entire scandal may have been avoided. Meanwhile, Telenor remains caught in what some view as a management vacuum at present. The company has no chairman since Aaser was fired, four of its top executives including its chief legal counsel and chief financial officer have been suspended pending results of an internally ordered investigation, and its new CEO Brekke is under another cloud for an entirely reason: For years, Brekke, himself a former politician for Norway’s Labour Party, allowed his published CVs and biographical information to contain embellishments. He has already apologized for wrongly claiming he held a bachelor’s degree in business administration from a Norwegian college. Now Norwegian magazine Kapital has also reported other academic and career embellishments: Two years at a trade school became a “Degree in Agricultural Science” when Brekke applied to a one-year study program at Harvard in 1996. A three-month unpaid trainee job at the Norwegian defense research institute FFI (Forsvarets forskningsinstitutt) was listed as “Advisor, Defence Research Establishment” when his “present position” was described in a magazine at Harvard. Telenor itself described Brekke’s access to lectures at Harvard as part of being an “Associate Senior Research Fellow” at the prestigious university. Eva Grinde, a commentator for DN, wrote on Tuesday that the new revelations about Brekke’s controversial CVs have “miraculously” gone “under the radar” in the midst of all the other serious news flying around Telenor. His “creative” descriptions of his academic and professional careers, Grinde noted, can mean that the most clever people who “cut corners” rise to the “most important and powerful positions. That’s a problem.” Telenor has defended Brekke, while Brekke himself has conceded that he “understands” why questions have arisen. He claims he has never lied about his education or career, blaming the “imprecise” descriptions of degrees and titles on translation errors. Brekke’s appointment itself was controversial last spring. His tenure, success and popularity at Telenor was not in question, but he personified yet another middle-aged man being hired as chief executive of a major Norwegian company. Norway prides itself on being one of the more egalitarian societies in the world, and many felt it was high time that a woman was hired as CEO of one of the country’s biggest companies, and state-controlled as well. Svein Aaser, Telenor’s fired chairman, responded last spring that “both women and men,” from both inside and outside Norway, were under consideration in the final selection rounds. On Tuesday, as if all the other negative news around Telenor this week wasn’t enough, newspaper VG published a story that Aaser was apparently bluffing. None of the three women with the most experience within Telenor’s top management at the time were contacted during the hiring process. One of them widely viewed as among the favourites for the job, Berit Svendsen, was reportedly called in for a “conversation” with head-hunter firm Egon Zehnder, but the meeting wasn’t viewed as a job interview. The search for a new Telenor chairman continues, with several women among the candidates. 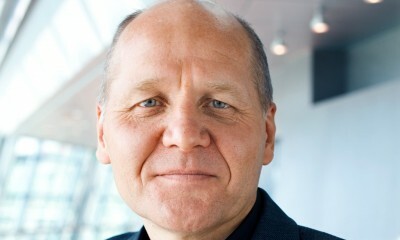 The future composition of Telenor’s board itself remains uncertain.